La Seleçao das Quinas es uno de los equipos europeos con mayor cantidad de títulos en esta categoría. ¿Podrán agregar otro título más a su palmarés? A Seleçao das Quinas is the most successful European side in this tournament with two titles. Can they win a third this summer? With the finals fast approaching, here's everything you need to know about the remaining games in the UEFA Nations League's inaugural season. The Lions eliminated Benfica in the semi-final, while Porto made it to the title clash after making it past Braga. Wolves vs Man United, Villarreal vs Barcelona, Valencia vs Real Madrid, Tottenham vs Crystal Palace, and the Taca de Portugal semis are just a few of the key games this midweek. The finalists for the this season's Taca de Portugal will be decided, with the Dragons and the Eagles holding the advantage in their respective ties. 24 nations are gearing up to battle it out for one title this summer in Poland. Live Soccer TV is on hand to provide all the info you need to follow your favorite teams throughout the tournament. The AFCON and Gold Cup 2019 qualifiers wrapped up while the race to make Euro 2020 kicked off with a bang. Here's everything that happened during the international break. 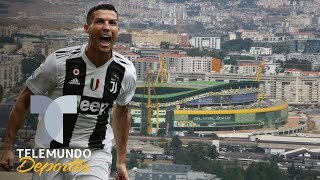 The Portuguese superstar suffered an apparent hamstring injury ahead of a return to action for Juventus. Portugal enters this tournament led by none other than the current Ballon D'Or holder. Cristiano Ronaldo will try to lead the Portuguese side to their best performance in a World Cup, in order to erase their poor form from 2014 and to cement their legacy as the best generation of players in that country. 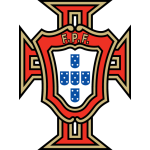 The stakes will be higher than ever for Portugal, since they get to this tournament as the reigning UEFA Euro champions, and this summer's test will be a good way to find out if their victory in the European competition was only a matter of luck. Fernando Santos will try to replicate what Spain did in 2008 and 2010, where La Roja won the UEFA Euro and the FIFA World Cup respectively. A Seleçao Das Quinas has never finished above third place. Will they make it happen this time around? Coach Santos added new blood to a veteran team with the addition of rising talents in Portugal's Primeira Liga. Benfica's Ruben Dias and Porto's Sergio Oliveira were included in the preliminary list, and both have a good chance of making the 23-man list. Most of Portugal's players are over 30 years, and needless to say, Cristiano Ronaldo is the team's reference, leader, and captain. Curiously enough, the oldest players in this team are a couple of center backs: Bruno Alves (36) and Pepe (35). Fábio Coentrão asked not to be called up for the 2018 World Cup, but the major absence in this team is that of Renato Sanches. The 2016 UEFA Euro Young Player of the Tournament failed to impress after that competition, failing to impress at Bayern Munich and Swansea. In addition, both Barcelona players André Gomes and Nelson Semedo were also excluded from Portugal's World Cup team.